Brands today are spread across continents. Centralized sales management through company headquarters is arduous, expensive and time consuming. And this is where, territory mapping through sales CRM comes into play. Territory mapping has always been important. But for many companies stuck with legacy systems, it’s only a process of assessing spreadsheets of data or sticking notes to a graph printout. Poor territory management can be expensive for a company in terms of time and money wasted in administrative work and vital insights can be missed resulting in reduced or lost sales. However, as sales CRM technology keeps improving, territory management is becoming much easier than before. It can boost sales by enabling your organization to craft a comprehensive sales and marketing strategy across multiple regions. But how can you achieve this? Read on to find out. Both types have their own merits. Hierarchical one will offer you listings and information based on company reporting structure, whereas, matrix one gives you more information with regards to revenue share, growth metrics etc. The best sales CRM will offer you both (sparing you the agony of choice). Customers today are choosy (who can blame them? After all, it is their age). For managing their expectations with multiple professionals spread across regions, map your sales territory allowing for a distinction to be made between geography and territory. In theory, sales process are set in stone. In reality though, they are rarely so. Don't let any process variations stress you. Your CRM solution (atleast CRMNEXT does) should allow for crossing and geography allocation. Did you know that almost 90 percent of all data that enters the brain is visual?You can visualize sales territories on a map by presenting your spreadsheet data onto an interactive map, helping you to quickly optimize and picture your data. This helps you to discover insights that can help you make better informed decisions. When sales territories are displayed on a map, you get an instant picture of your sales team’s work distribution across territories. Depending on the state of the market, the activities of your team, their objectives, resources available and the insights derived from visualizing your data, you may opt to balance assigned or allocated territories according to the volume of customers. Balancing may also be based on opportunities, leads, size of the territories and the values they present. Balanced territories have been proven to be highly effective and efficient, making it possible to get the most from the organization’s sales team. The sales team becomes more resourceful and the leads more lucrative. Sales territory mapping helps you to support complex and frequently altered sales organization structures. 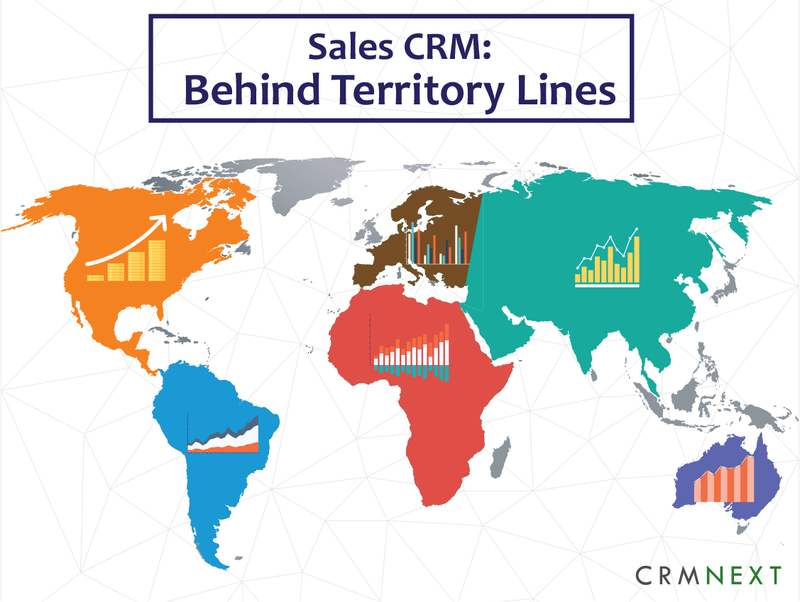 Sales mapping tools built inside CRM solutions aids in easy transfer of resources between territories and geographies in a few clicks. You can create territories based sales reports and derive multiple forecasts based on geography, team and products. Sales mapping tools helps you to set up lead queues and lead assignment rules to automatically route leads to the right sales team and sales rep based on territory. Through territory mapping for sales, you can easily zoom in and out of the territories, editing, filtering and realigning them as you wish. This saves you many hours of administrative work giving you more time to concentrate on amplifying sales growth. ©Copyright 2000-2020, CRMNEXT, a division of Acidaes Solutions Pvt. Ltd. Powered by Blogger.